If you have a great story to tell, the opening is so important. That’s true whether you see you a great movie, read a great novel, or listen to a great story being told. When a classical piece of music is written, the opening is not finished until the end. The overture is the first piece of music that you hear, but it is usually the last piece to be written by the composer because its purpose is to include the themes that will appear later in the opera. Nowhere is this truer than in the Christmas story. Christmas is the introduction of God in human form, and the way Jesus introduced himself sets the stage for the rest of the story. His narrative is much like a classical piece of music. When you listen to the overture you can already hear every note that is coming later on. There is a pair of accounts of the Christmas story, and nearly every holiday image comes from these (think manger, shepherds, star, wise men, etc). One account belongs to Luke, and the other to Matthew. When Matthew tells his version of the Christmas story, he builds it around five successive vignettes. Each carries a unique element of the story, and I am going to blog on each one of them over the next few days. Where does Matthew begin the story of Christmas? It’s an intriguing choice: his introduction is found in the genealogy of Christ (see the full account here). Without a proper lens to interpret it, Matthew’s introduction can come across as rather boring. Who wants to read 17 lines of an ancient family tree? Let’s get to the good stuff, right? Yet there must be something so significant here (or more accurately multiple significant things). Why else would one begin the story of God’s entrance into humanity with a family tree? If we take a step back in history, we quickly remind ourselves why a genealogy was significant. In the ancient times of this text, personal resumes were unheard of. You didn’t list your personal achievements to gain any sense of social status. The only thing that mattered was who your parents and grandparents were. So Matthew speaks the language of the culture when he introduces Jesus through a family tree. Beyond affirming the historical reality of Jesus the person, Matthew must have wanted us to see something about God when he listed this genealogy. What was he hoping his readers would notice? Let’s start with what would have been most noticeable to first century readers: there are five women. I’ve done my fair share of studying of this passage, and nearly everyone I’ve read starts here. Women were never included in genealogies. Not in religious ones, and not in secular ones. One might argue that part of the reason for this was practical in nature – generational wealth was passed on exclusively from father to son. Yet the reasons for excluding women from family trees clearly go beyond practicality. Women were not valued. They had very little social status, and therefore they were left out of the genealogy. The genealogy was part of the resume, and it was common practice to highlight the highest status names in family tree. But now, here comes Jesus, And he is going to carefully choreograph his entrance into humanity. And when he introduces himself, what does he do? 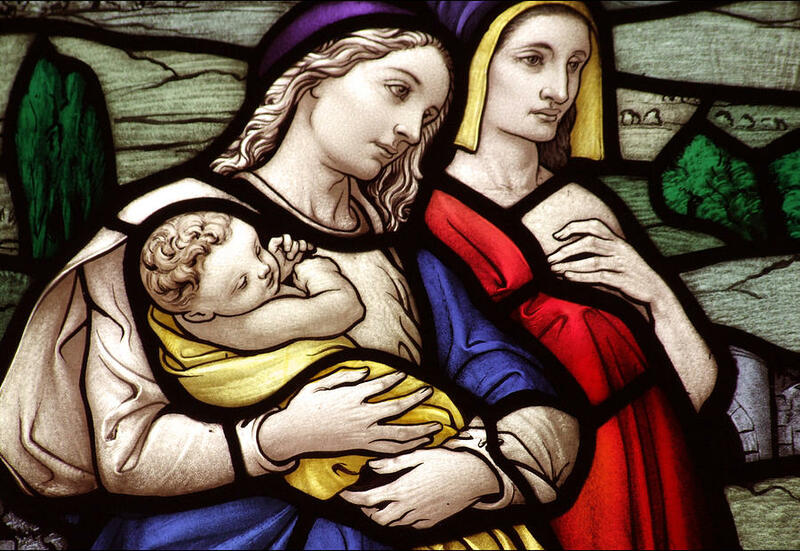 He doesn’t just list one woman – he lists five: Tamar, Rahab, Ruth, Bathsheba, and of course Mary. Each of these women has a fascinating story, and at a later time I may blog on each one of them. But for the purposes of this blog, lets take a step back and look at it from a big picture lens. Jesus could have introduced himself anyway, and this is how he chose to do it. If this genealogy is the overture of the symphony, then what themes are Jesus establishing from the very beginning? All people are included in the family of God. And as true as each of those statements are, it still probably doesn’t go far enough in highlighting the nature of the barrier-breaking that Jesus was about to embark upon. He entered into a society where women were second hand citizens, but that’s never how he treated them. Jesus continually went out of his way to value and esteem and highlight women. He treated them with love, respect, and honor. He chose them as his disciples. He relied on them for financial support. He chose women as some of his closest friends. And he made sure that his mother – and four of her grandmothers – were listed in his genealogical resume. May we remember the radically inclusive nature of our Savior this Advent season. May we remember the way that Jesus refused to settle for societal views of status, and instead honored both women and men for the precious human beings that they were – created in the image of God and worth honoring and celebrating. I love this, Daniel! Jesus was so awesomely inclusive and unique! What an Emmanuel! Thanks for sharing this…looking forward to your series. Blessings to you and yours this Christmas season. LOVEd this blog. So AMAZING good. and you have no idea how you helped me prepare something for my next missiontrip. God bless. Keep writing.